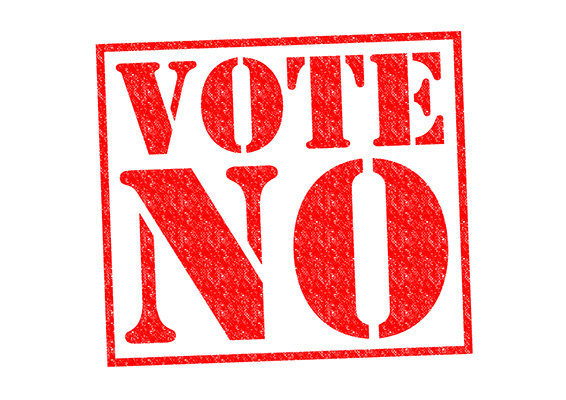 VOTE NO TO PROPOSAL 1! On this November's election ballot New Yorkers will be asked to vote on Proposal 1, which will simply read, "Shall there be a convention to revise the constitution and amend same?". Every twenty (20) years voters in New York are asked this seemingly harmless question which significantly understates the potential of the proposal to adversely impact many New Yorkers should it pass. A Constitutional Convention allows for New York State's current constitution to be changed or even completely rewritten. Opening up this document to such indiscriminate and random change could alter our working conditions, impact our wages, eliminate our right to collectively bargain and even jeopardize our pensions. All of which are protected under the current constitution. Even advocates of the convention acknowledge the pitfalls and recognize the legitimate concerns and apprehension that many of us have to the opening up of the constitution in this way. One such advocacy group, the Citizens Union, states on its website that, "An unlimited Constitutional Convention does present some risk.". They further elaborate by claiming, "But it's worth the risk.". Brothers and Sisters nothing could be further from the truth. We have everything to lose with little if any to gain. Recent polling suggest the proposal will pass unless we get out to vote On November 7th. This is not the time to sit home apathetic. Let your family, friends and co-workers know what is at stake. Be your own advocate and make a difference. Your pension may depend upon it.